Salvation is a precious, individual matter, yet God’s salvation is available to everyone! 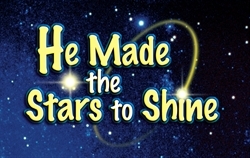 Teach children these wonderful truths through this gospel song. This 4-page, accordion-fold visualized song is printed on sturdy card stock with separate sheet music.